New Cover Revealed, Plus Easter Offers! 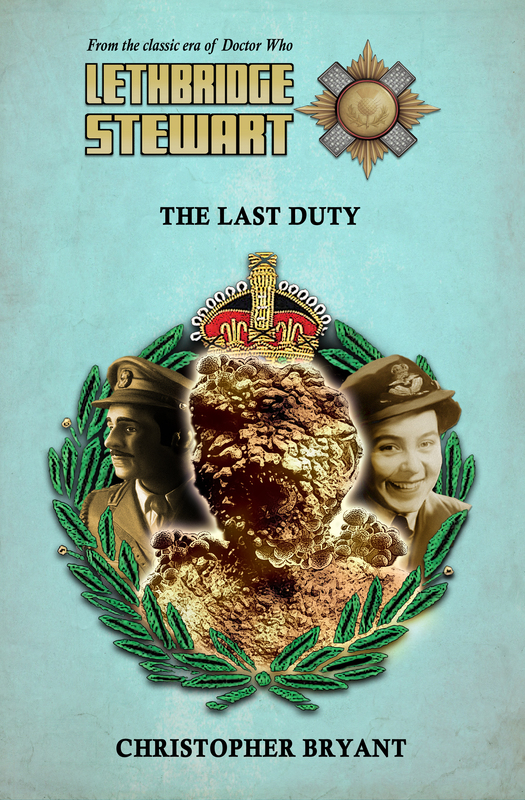 Candy Jar Books is pleased to release the cover art for the second Lethbridge-Stewart spin-off novella, The Flaming Soldier, designed by Richard Young. Eileen’s numerous television appearances included the BBC series, Britain’s Greatest Generation, Channel 4’s WW2: The Last Heroes, and the ITV Wales programme Welsh Heroes of World War Two, as well as BBC’s Breakfast, The One Show and Eggheads. Her book One Woman’s War won a People’s Book Prize. Her final book Eileen’s War was written for children and was completed and published only weeks before her death. Brigadier Lethbridge-Stewart is investigating a series of cases of spontaneous combustion. How can an inferno start inside a brick wall? Who or what are the ghost-like creatures spotted in the area around Imber base? Does it have anything to do with Eileen Younghusband, hotel proprietor, whose ordinary day is about to be interrupted by secrets from her past? Traumatic events from the Second World War impact upon the present day and a mysterious aircraft could hold the key to the identity of the flaming soldier. 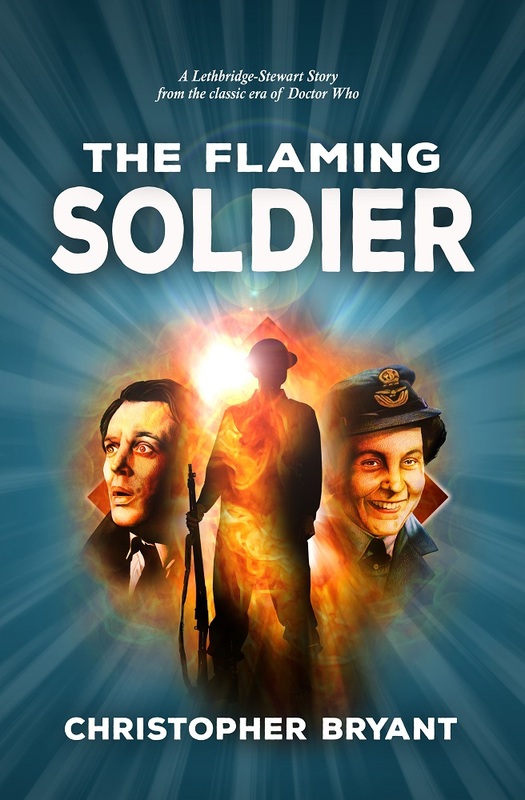 The Flaming Soldier is available for pre-order now, for £12.99 (+ p&p), and will be which published in hardback, with a strict print-run of only 400 copies. You can pre-order individually or as part of the discounted novella UK bundle for only £38.40, saving £9.57, or an international bundle for only £55.59, saving £7.40. Order early to avoid disappointment. 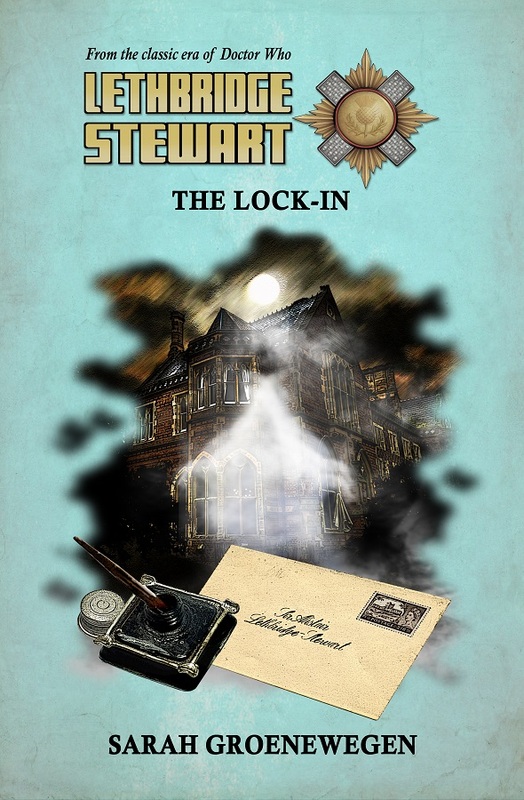 With the launch of series ten of Doctor Who starting on Saturday, Candy Jar is making the third series of Lethbridge-Stewart (Times Squared, Blood of Atlantis, Mind of Stone) and Connecting Who: Artificial Beings available for free via Kindle across the Easter weekend. Author Andy Frankham-AllenPosted on April 12, 2017 Categories Cover Unveiling, NewsTags Blood of Atlantis, Doctor Who, Easter, Eileen Younghusband, Mind of Stone, series 10, The Flaming Soldier, Times Squared, World War II1 Comment on New Cover Revealed, Plus Easter Offers! Candy Jar Books is pleased to unveil the cover art of The HAVOC Files 2, collecting seven short stories and a couple of extras! The Lost Skin focuses on a several of the regular cast of characters, including the return of journalists, Harold Chorley, Larry Greene and Charlie Redfern. More importantly, it features the first full appearance of Professor Edward Travers, last seen in 2015’s The Schizoid Earth, who heads to John o Groats to investigate a bit of Scottish lore. The short stories include the previously available, In His Kiss by Sue Hampton, The Lock-In by Sarah Groenewegen BEM, The Black Eggs of Khufu by Tom Dexter, The Band of Evil by Roger J Simmonds & Shaun Russell, The Playing Dead by Adrian Sherlock, and brand new stories House of Giants by Rick Cross and Ashes of the Inferno by Andy Frankham-Allen. Not only these short stories, but the collection also includes Schädengeist’s First Love by Jonathan Cooper and Exodus from Venus by John Peel, deleted material from The Showstoppers and The Grandfather Infestation respectively. 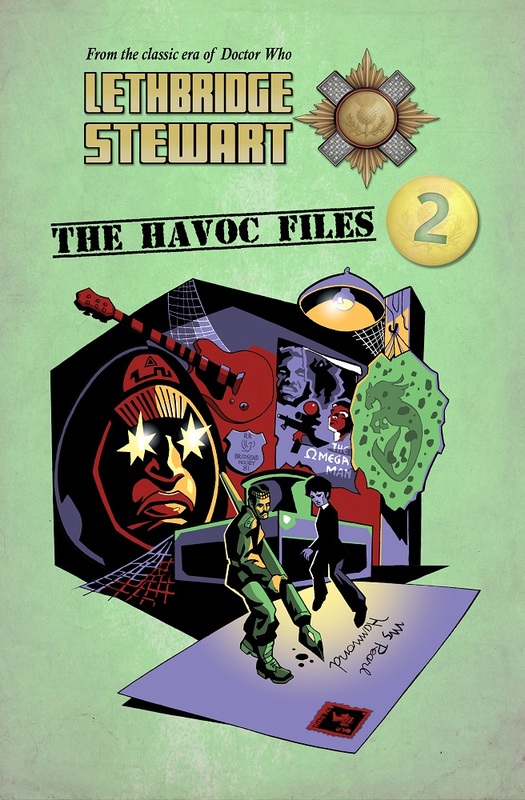 As with the first volume, The HAVOC Files 2 will only be available as a strictly limited edition print run, available directly from the Candy Jar Bookstore. It will not be available for sale in any shop, on the high streets or the Internet, and is due to become a collector’s item. The cut-off point for pre-orders is fast approaching, although the actual date will only be announced at the time, with no pre-warning. So PRE-ORDER now, directly from www.candyjarbooks.co.uk. It will be released at the end of September. 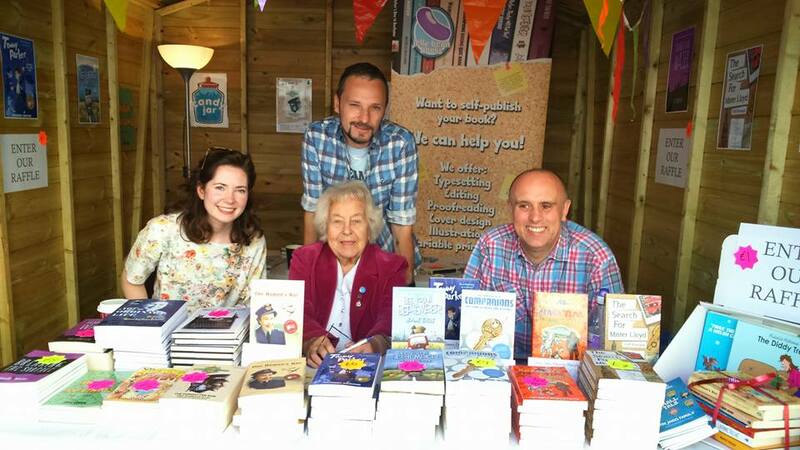 Candy Jar’s very own Eileen Younghusband has died in hospital in Cardiff at the age of 95. After the war, she spent most of her life in hotels and catering. She moved to Wales in 1984 and became known for her campaigning on health and education issues. She was awarded the British Empire Medal in 2012, for her tireless work against cuts to adult education. At the age of 87, she completed a degree from the Open University and was named as one of its Students of the Year. Her autobiography, Not An Ordinary Life, was published the following year and began a series of books and talks about her wartime experiences. Her television appearances included BBC Breakfast, The One Show and Eggheads, as well as the BBC series Britain’s Greatest Generation, Channel 4’s WW2: The Last Heroes, and the ITV Wales programme Welsh Heroes of World War Two. Her book, One Woman’s War, won a People’s Book Prize 2012/13 – something she was always incredibly proud of. A life size figure of Eileen as a 21-year-old WAAF officer stands in a replica of a filter room at the Battle of Britain museum at Bentley Priory. Her advice on the WAAF was sought by historians, documentary makers and even a Hollywood scriptwriter.